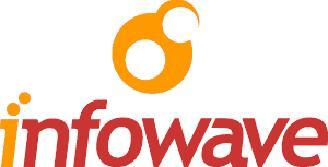 Infowave Software, Inc. – Burnaby, BC | LDT CONSULTING, INC. Developed funcional test cases / test scripts and prepared User Acceptance Test Plan using Test Director in anticipation of work order management, functional testing. Wrote User’s Guide for Agfa Health Care and supported trainer in development of training materials for work order management solution. Agfa HealthCare, a member of the Agfa-Gevaert Group, is a leading provider of IT-enabled clinical workflow and diagnostic image management solutions, and state-of-the-art systems for capturing and processing images in hospitals and healthcare facilities. Developed As-Is Use Cases concerning the mWarehouse and mFieldWorks applications for Sprint Nextel supply chain functionality prior to planned enhancements. Conducted Cost-Benefit and Fit-Gap Analysis of Hydro One’s functional requirements and proposed COTS, work order management solution.